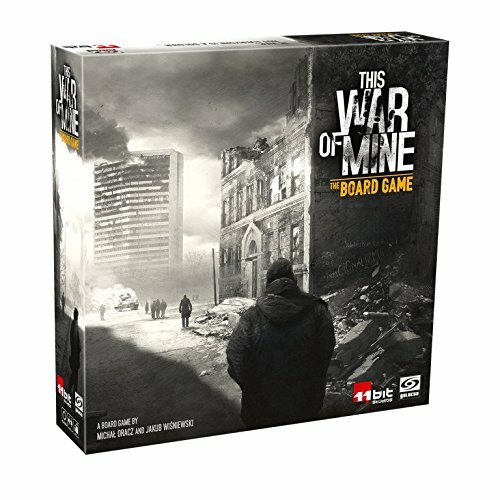 Players enter This War of Mine: The Board Game as a group of civilians trapped in a besieged and conflict-ridden city, enduring many hardships that often test the essence of humanity. To survive, players often need to make tough moral choices, which have consequences until the rest of the game. During the scavenging runs the characters face dangers of a bomb-shelled city, make friends or mercilessly rob other survivors. The choices are never easy, but the very survival is at stake. In This War of Mine: The Board Game there are no points or competition, just those who make it until the ceasefire. Players send their characters to do various tasks, from crafting new furniture to exploring the city. However, the game is not only about character management. The story and the players' choices are key to the gameplay, as their outcome can define the rest of the experience. Each playthrough will be personal and unique because every choice will bear consequences and will reflect back at players when they least expect it.